TRIDON CHEMICAL is a Long Island, New York based company having served the greater New York area since 1982. In January, 1993, Elizabeth Cattano became the new owner and immediately expanded the product offerings and delivery services. and high level of quality. Our industrial acids, solvents and alcohols division, has a range of almost every type of commodity chemical used in various industrial applications. We provide water treatment chemicals, peroxides, sodium hypochlorite and caustic soda to various municipalities and private sector companies. We provide a full line of laboratory reagents, supplies and equipment along with analytical standards, reagent acids and safety supplies. By offering a broad range of products and delivering capabilities, we can supply a diverse customer base in a variety of industries with many of their chemicals and related materials. 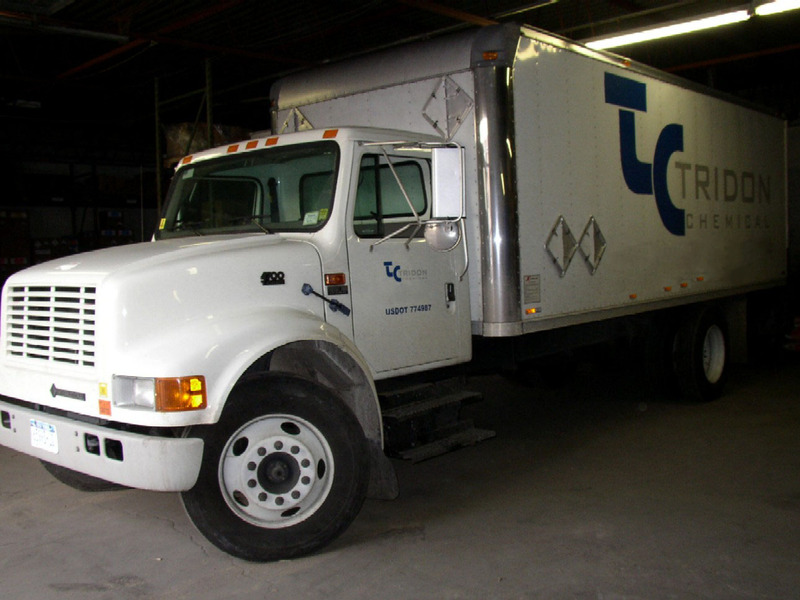 Whether you need an emergency, same-day delivery from our warehouse in North Babylon or scheduled bulk deliveries, Tridon Chemical can provide it. Our mission is to establish long-standing relationships with our clients and make customer service always a priority. Thank you for your visit and be sure to ask for a Quote. TRIDON CHEMICAL was awarded the PTAP Client of the Year Award for 2002 from the Long Island Development Corporation. (PTAP - Procurement Technical Assistance Program). Click here to view some pictures from the ceremony. Tridon Chemical, We go the distance to satisfy our clients!